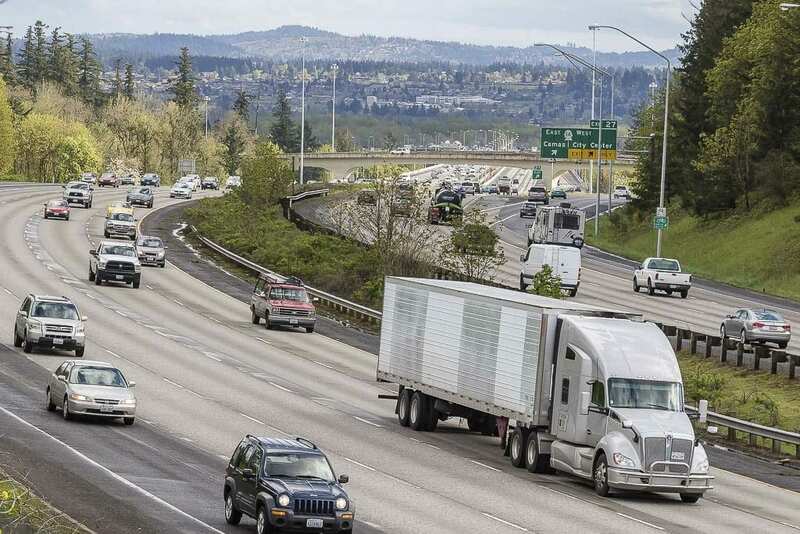 VANCOUVER — Members of the Clark County Council passed a resolution Tuesday that supports the replacement of the Interstate 5 Bridge and calls on state officials to provide funds for the project. The resolution, which the council had worked for several weeks to draft, passed by the vote of 4-1. Councilor Jeanne Stewart cast the only vote in opposition to the resolution. The council’s action comes on the heels of the passage of similar resolutions by the Vancouver City Council and the Port of Vancouver. Prior to the council’s passage of the resolution, a pair of Clark County citizens expressed opposition to making the replacement of the I-5 Bridge the priority in addressing the traffic congestion issues facing area residents, including the more than 70,000 who commute to Oregon to work each week. Camas resident John Ley, who has spent countless hours as a citizens’ advocate on the traffic congestion issue, pleaded with the councilors to focus on a new third bridge and the construction of more lanes crossing the Columbia River between Clark County and Oregon. Carol Levanen, a member of Clark County Citizens United, also urged the councilors to consider other alternatives first, before supporting the I-5 bridge replacement. 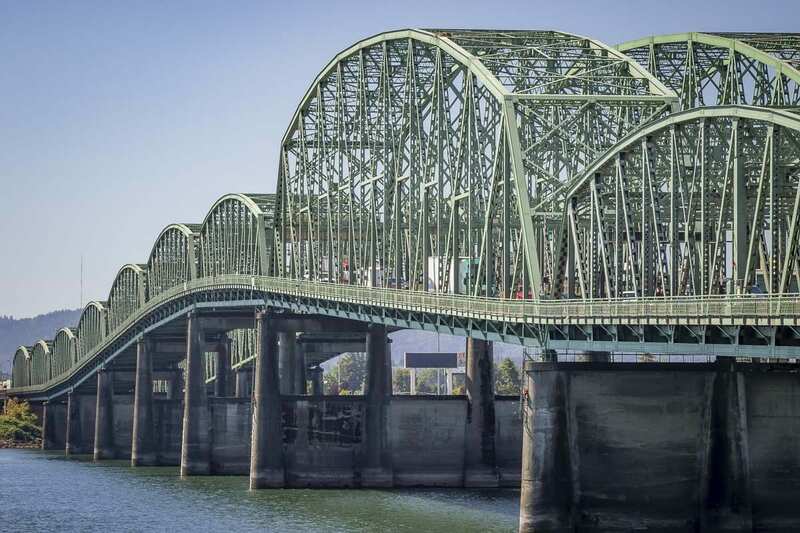 The council’s resolution called the I-5 Bridge “functionally obsolete.’’ The resolution also specifies that the bridge replacement include a lane for Bus Rapid Transit and allows for improvements for bicycle and pedestrian traffic. Councilor John Blom took a leadership role in the construction of the resolution and led the support prior to Tuesday’s vote. It was clear from Tuesday’s comments that councilors Blom and Julie Olson wanted the resolution to be passed by a unanimous vote. Blom credited Councilor Eileen Quiring for working toward a resolution that addressed concerns about the issue. Despite that, Stewart stood firm on her vote in opposition. “I’m seriously concerned about the council approving a resolution that was simply a piggy backing off a resolution developed and put through by the Vancouver City Council,’’ Stewart said. “Vancouver is a very important city in Clark County, certainly our largest city, they have a big voice, but it’s really unfortunate that the county body has not taken a leadership role in thinking about the future of Clark County. Stewart also voiced her concerns about what an I-5 Bridge replacement project will do to the area’s traffic congestion issues. Despite her vote in favor of the resolution, Quiring said she still favors the construction of another bridge prior to the I-5 Bridge replacement. Both Blom and Quiring said the inclusion of language in the resolution for high capacity transit and dedicated right of way was necessary for the project to qualify for federal funding. In his comments, Ley dispelled the idea that Bus Rapid Transit is an adequate use of funds in this project. “We presently have 300,000 daily crossings of the Columbia River via our two bridges,’’ Ley said. “Yet, C-TRAN’s ‘express’ bus service carries only 1,500 people to downtown Portland on an average day. That’s one half of 1 percent. Light rail serves just under 1 percent of daily trips, according to John Charles of the Cascade Policy Institute. “Yet, our own RTC (Southwest Washington Regional Transportation Council) has a light rail extension to Vancouver in their 2035 plan. Portland Metro’s JPACT (Joint Policy Advisory Committee on Transportation) has a light rail extension and a new bridge in their 2040 plan,’’ Ley said. “Furthermore, Metro’s plan shows $3.17 billion for a new replacement Interstate bridge; $850 million for a light rail extension, and $80 million for a new bridge from the Expo Center to Hayden Island. That’s $4.1 billion. And, of course, they expect southwest Washington citizens to help pay for all this via tolls. Councilor Julie Olson said that despite her vote to approve the resolution, she also supported the exploration of building new corridors. Stewart asked for a commitment by the other councilors to do just that. Council chair pointed out that the Glenn L. Jackson Memorial Bridge (over I-205), completed in Dec. 1982, was the cumulation of planning that began in 1959, when property was being acquired in anticipation of the project. “If 205 was on the map in 1959, I think it’s time we get something on the map for the future,’’ Quiring said.